Mike Dunleavy: Out of control spending has to stop; but taxing won't work. 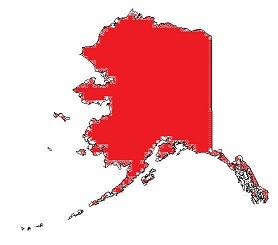 Tony Knowles: Consolidate funding now distributed to Alaska�s 230 tribes. Lisa Murkowski: Support Alaska/native hire on government projects. Lisa Murkowski: Exxon would not benefit from a $6.5 billion tax break at all. Lisa Murkowski: Want to have the Exxon Valdez issue behind us. Mike Dunleavy: Attack crime with aggressive response. Lisa Murkowski: End parole for repeat violent offenders. Lisa Murkowski: Require high school exit exams. Tony Knowles: Seek ANWR through a bill that sets tougher mileage standards. Mike Dunleavy: Fought for parents to raise kids according to their values. Tony Knowles: A one-party strategy for America doesn�t work. Mike Dunleavy: The only path forward to new jobs is to encourage businesses. Lisa Murkowski: Didn�t ask Alaskans to accept father�s appointment to Senate. Tony Knowles: Should�ve gotten subsistence on the ballot as an issue. Lisa Murkowski: Got over $700 million of tax credits for a gas pipeline. Lisa Murkowski: Prewar Iraq was a safe haven for terrorists.